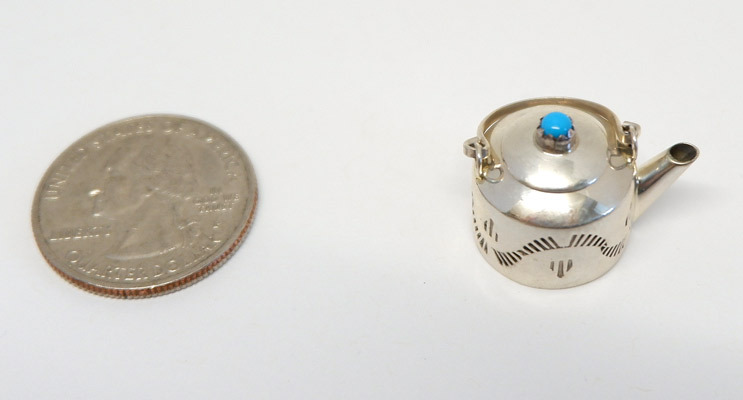 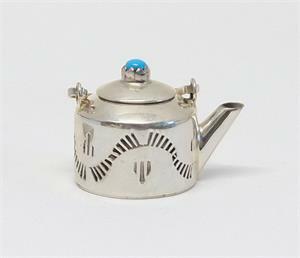 Stamped sterling silver miniature tea pot with turquoise inlaid in to the top by Navajo artist Wesley Whitman. 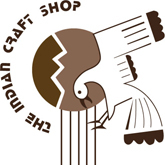 If you would like to order online and pick up in the Shop, please fill in your “Ship To” address as the Shop’s street address: 1849 C Street, NW, Washington, DC 20240. 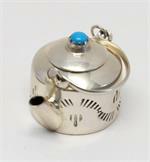 The appropriate DC sales tax will be charged and we will credit your shipping cost back to your method of payment. 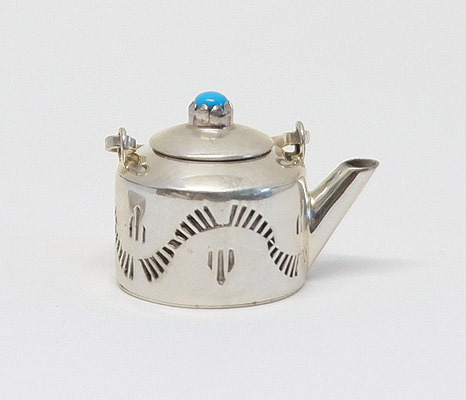 In the “comment section” of your order, let us know that you will be picking up your order and we’ll have it ready for you!